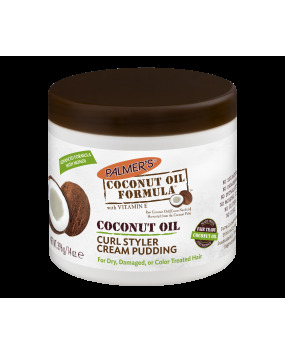 Palmer's Coconut Oil Formula Curl Styler Cream Pudding instantly boosts hydration and adds shine transforming dry, frizzy hair into bouncy, defined curls. Maximises curl length for longer lasting styles. 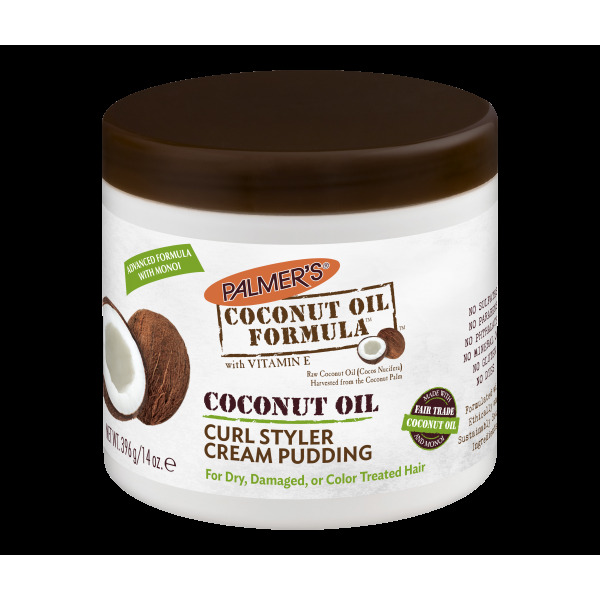 Apply Palmer's Coconut Oil Formula Curl Styler Cream Pudding to damp hair from roots to ends. Comb through and finger-style or blow dry using a diffuser for bouncier curls. Works well with Palmer's Hair Serums. Coconut Oil: Deeply moisturises and adds shine.